Value ETFs: Are Investors Beginning to Head for the Exits? You are at:Home»Relative Value Channel»Value ETFs: Are Investors Heading for the Exits? 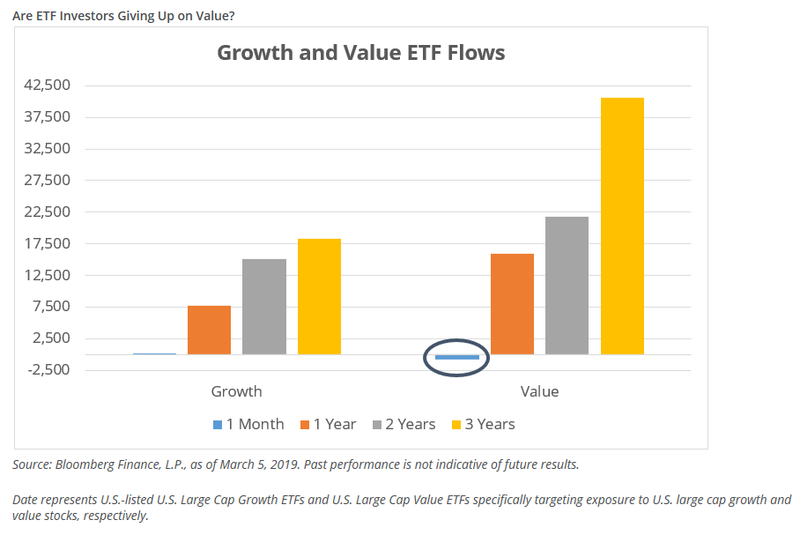 The value factor has been a tried-and-true performer, but when it comes to exchange-traded funds (ETFs), are investors beginning to head for the exit signs and toward the entrance of more growth-oriented ETFs? In Direxion’s latest Relative Weight Spotlight report, a correlation can be seen with a flattening yield curve and an increasing interest in the growth factor. As the Federal Reserve was obstinate in its rate-hiking policy during 2018, the central bank is preaching more patience and adaptability with respect to rates in 2019. This, in effect, doesn’t bode well for value, which has typically been the beneficiary of a steeper yield curve. A more dovish Fed and rate pauses could feed into more investor flight from the value factor. 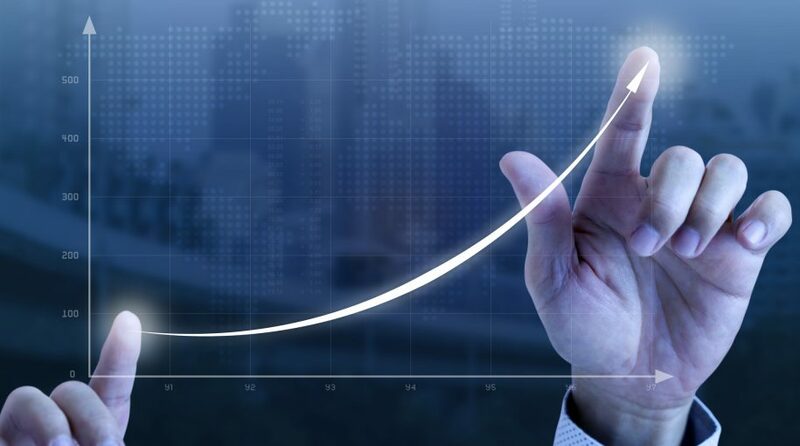 This slant towards growth can certainly be seen in the movement of money from value ETFs. Value ETFs saw an outflow of $850 million over the last month while rolling one-month value flows have been mostly negative for a period of 34 days.